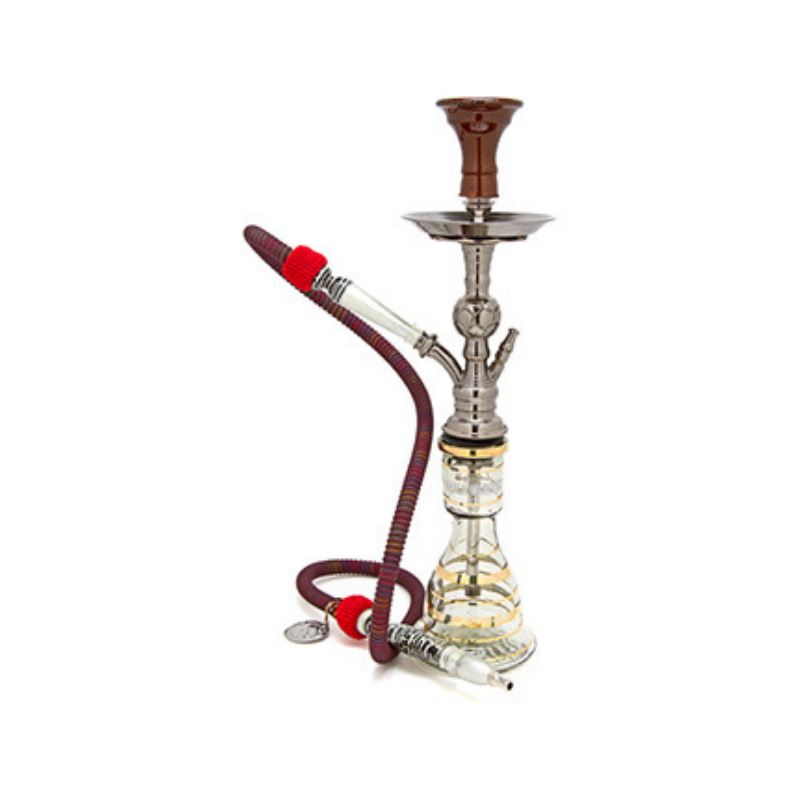 The KM Mini Safari is a compact hookah with a heavy duty build that KM is famous for. This stunner stands 19 inches tall, making it a great tabletop hookah. The Khalil Mamoon Mini Safari is has a solid stainless steel hookah stem with a spherical, geometric design element. The stem has a gunmetal color that is unique within the KM brand and the hose it's paired with is also something you won't find on any other Khalil Mamoon, though it's compatible with virtually any hookah hose.